Readers please note there has been a distribution problem this week with the email version. This is being addressed and should be resolved for next Monday. 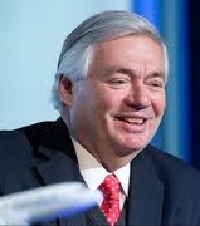 Without doubt the world's most successful aircraft salesman, John Leahy has been with Airbus for more than 30 years. With Farnborough starting next Monday, he reflects for BTN on the past and looks into the future with great confidence. I remember starting at Airbus in 1985 when the order book was barely 500 aircraft and we had a market share that hadn’t yet hit 20%. We still had only 18% market share in 1995 when we set the target to reach 50% by 2000. Industry experts and our friends in Seattle didn’t think we had it in us. Through innovation, persistence and teamwork, we developed the best aircraft family and reached the 50% target ahead of time in 1999. Boeing celebrate their centenary year and will inevitably be noisy neighbours at the air show. Over 100 years, they have made many bold decisions which continue to shape our industry. Underestimating Airbus was perhaps one of their most significant. Be assured that if we continue to work as a team and with our customers, Airbus will continue to surprise, impress and lead. What makes our aircraft the best? They offer new and more efficient ways of creating value for our customers’ business year after year. The A350 XWB is our all-new design. It’s superior to the 787 because we could study the 787 in detail before freezing our design, so the A350 XWB is more spacious, with wider seats offering more comfort for the passengers in its quiet cabin. With the most efficient engines and a light structure, it’s the logical choice for the airlines and their passengers. Our A350 XWB is the best twin-aisle on the market. The A350 XWB is already shaping the future of long-haul air travel and has the potential to expand further as a family in line with market expectations, while being ably complemented by the dependable, modern A330 and the even more capable A330neo, which will deliver 14% fuel burn saving while retaining A330 excellence in versatility and reliability. Airlines want versatile aircraft and there is no more versatile than our A330. With more flights on A330s than any other widebody, ranging from 30min to 15hr, the A330 offers low cost, high value and an ever-improving travel experience. The A380 is designed to maximise profitability taking into account industry realities. It is the best aircraft to capture traffic growth, enhancing airlines’ brands and adding glamour to travel. It is the aircraft passengers go out of their way to fly. In every generation, the market has recognised the A320 as the superior single-aisle airplane. More A320s are flying today than any other passenger jetliner – ever! What makes it different from all other single-aisle models? Unbeatable fuel efficiency, superior comfort, and the result of continual innovation. These are the measurables that underpin the success of the A320neo. The Airspace cabin brand is an excellent example of how we generate value for our customers. We now have a strong brand to carry forward the unique Airbus blend of design, features and services that makes it the best cabin experience in the sky. Our future looks bright. Airbus has 8,000 aircraft in service and almost the same number on backlog. We are growing, will continue to grow and we have the global facilities to make it happen. The company I joined years ago was seen as a small European company. We are now both arguably the major player in our industry and truly global, with Airbus planes rolling out of China and the US. We may be only half our competitor’s age, but at the air show we will be proud of who we are, what we do and be delighted to share our excitement in what we will be doing in the future. An interesting and convincing analysis. No mention of the now-defunct A340, however, and the fact that no US airline has so far ordered the A380.